EDMONTON - Terrell Owens isn't finished with football just yet. According to a CFL source, the former NFL receiver has activated a 10-day window to receive a contract offer from the Edmonton Eskimos by July 24 or force them to relinquish his rights. The 44-year-old Owens, who last played pro football in 2010, has been on Edmonton's 45-man negotiation list since June 19. Edmonton could offer Owens a two-year deal at $54,000 annually, the CFL minimum. If Owens rejected it, the Eskimos would retain his rights for another year. Edmonton could trade Owens' rights or opt against making him an offer within the 10-day period, which would result in his name being removed from their negotiation list. That would allow another team to place him on their negotiation list and effectively re-start the whole process. Owens recently released a video on social media of him running a 40-yard dash in 4.43 seconds. Owens was named for induction into the Pro Football Hall of Fame next month but declined an invitation to the enshrinement ceremony. Instead, Owens plans to deliver his Hall of Fame speech at the University of Tennessee-Chattanooga, his alma mater, Aug. 4. SURREY, B.C. - An injury has sidelined B.C. Lions star linebacker Solomon Elimimian. A spokesman for the team says Elimimian will be placed on the CFL's six-game injured list on Tuesday. No details about the injury have been released. The news comes just one day after the Lions said starting running back Jeremiah Johnson was doubtful for Friday's game in Ottawa against the Redblacks because of an ankle injury. Elimimian made four tackles for the Lions in their 20-17 victory over the Winnipeg Blue Bombers on Saturday. The four-time all star now has 26 tackles for the season, fourth in the league behind Bombers Adam Bighill and Jovan Santos-Knox, and Montreal's Chris Ackie. The 31-year-old is in his ninth year with the Lions, and has racked up numerous honours, including the CFL's most outstanding player award in 2014, the top defensive player nod in 2014 and 2016 and the top rookie trophy in 2010. MONTREAL - Quarterback Jeff Mathews will be out for four-to-six weeks with a foot injury, the Montreal Alouettes announced Tuesday. Mathews suffered a lisfranc injury, which affects a bone or tendon in the bridge of the foot. He made his first start for the Alouettes in a 28-18 loss at home to the Ottawa Redblacks on July 6 after coming on in relief of Drew Willy in a 23-17 win in Regina on June 30. Willy is expected to return from a neck and shoulder injury when the Alouettes visit the Calgary Stampeders on Saturday. 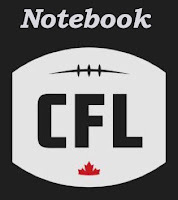 The Alouettes (1-3), who are coming off a bye week, also added Canadian offensive tackle Tyler Johnstone to their roster. The six-foot-six 275-pound Johnstone was taken in the CFL supplemental draft on July 2. They released American offensive lineman Xavier Fulton and kicker Austin Renkow. TORONTO - Edmonton receiver D'Haquille (Duke) Williams, B.C. 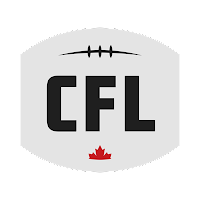 quarterback Travis Lulay and Calgary defensive lineman Micah Johnson are the top performers for Week 5 of the CFL season. Williams had 123 receiving yards and a crucial touchdown in Edmonton's 16-15 win over visiting Toronto on Friday. The former Auburn Tiger capped an 11-play, 75-yard drive in the third quarter with an 11-yard TD reception. In his first start of the season, Lulay orchestrated the Lions' 20-17 comeback win over visiting Winnipeg. Lulay went 28-for-41 and threw for 326 yards and one touchdown as B.C. came back from a 17-0 deficit. Johnson had three sacks and two forced fumbles as the Stampeders improved to 5-0 with a 27-3 rout at Ottawa on Thursday.